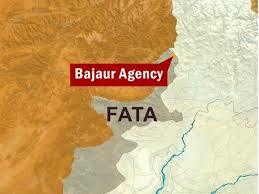 KHAR, 04 May 2016: Security level in several areas of Bajaur agency was raised to high alert on Wednesday, for thwarting any untoward incident, local people and administration sources told FRC. They said that strict security measures were witnessed in Khar – the Agency headquarters – and adjacent areas throughout the day. “Personnel of security force and Bajaur levies force carried out patrols and search operations in Khar bazaar and other nearby areas from early morning till evening,” said official of local Administration. Sources said that scores of additional levies personnel were also deployed for the purpose while a number of senior officers were assigned on supervision of the security arrangements. The local administration has also confirmed the extra security arrangements being taken in Khar and other areas. A senior official of the administration told FRC, that the measure was taken over a tipoff that some militants were trying to carry out terrorist activities in three different places in Khar. He did not specify the places where the militants wants to carry out terrorist activities, however he said that security arrangements were on high alert in several places to halt terrorist activities. Meanwhile, on occasion of the 4th death anniversary of one of the deadliest suicide blast victims held here on Wednesday, participants vowed to step up efforts for restoring the past glory of Bajaur agency. The ceremony was held at civil colony and was jointly organised by political administration and Fazali Rabi foundation. It aimed to pay homage to the victims of a suicide bomb explosion that had taken place in a crowded bazaar in Khar, the agency headquarters on May 4, 2012 in which, 28 people including Levies forces commandant Jawed Khan and deputy commandant Fazal Rabi, were killed and 80 others were injured. Addressing the ceremony local elders of the agency urged the government to introduce comprehensive packages and increase provisions of ‘Shuhada Package’ of levies force in the entire tribal areas. The participants on the occasion announced that they would continue fighting against militants, terrorists, extremists, and anti state elements in the agency. Later a walk was also held to spread awareness about the importance of peace and normalcy in the agency.